The protection of our democracy and the livability of our planet and its climate are dependent on having a more well-informed populace. It is increasingly important for people to be able to identify and combat disinformation, propaganda, smears, lies, dogma, unfounded conspiracy theories, and “fake news” from unreliable sources, in an era when online bots and “trolls” are being weaponized from outside and inside our country to spread misinformation by infiltrating social media groups and political campaigns, to wage personal attacks on candidates and sow discord, division, doubt, paranoia, violence, and chaos. Many well-intentioned people have been unwittingly spreading lies because they were duped by cleverly concealed information warfare campaigns (often started by their adversaries). To be well informed, you need to feed yourself a healthy, balanced diet of nutritious, fact-based, high-quality information. Avoid ingesting (or sharing) junk. Avoid all tabloids and sensationalist, entertainment-focused media; also avoid watching most cable news (especially FOX “News,” which has essentially become a fact-free outrage machine and propaganda arm of the GOP), panels of shouting pundits, and all Sinclair Broadcast Group-owned news stations. Avoid sharing articles that may not be accurate, or information that comes from highly biased or hyper-partisan publications/sources or from unknown or potentially illegitimate sources. If you’re in doubt about the accuracy of a claim, look it up on the key fact-checking sites (e.g., Factcheck.org, Politifact.com) and do a Google search to see what several reliable sources say about it. Most importantly, seek out (and share) news from the most truth-seeking, investigative, and reputable media outlets. Of course, some journalists and reports are better than others, and even strong publications will have flawed pieces or flawed fact-checking sometimes. Readers still need to be able to engage in critical thinking, and to be able to distinguish between factual news reporting and opinion pieces from commentators, columnists, or pundits. Educators should help teach students these essential skills. The New York Times, The New Yorker, The Atlantic, The Economist, Bloomberg, Mother Jones, The Hill, the Los Angeles Times, Politico, The New Republic, The Nation, Salon, and Slate. It’s important that those of us who can pay something for real journalism actually do so, so that real news outlets (including local/regional newspapers) can survive and not be entirely driven out by profit- and ratings-driven, sensationalist media (and lie-spreading, non-journalistic websites). Choose at least one reputable news source to subscribe to as a paid subscriber—ideally at least one local and one national or international publication—to show your support and to help keep them afloat. We can’t expect competent, professional journalists and writers to work for free, and we don’t want news media to be reliant solely on their major advertisers, who might expect them to alter (or censor) their content to serve the advertisers’ special interests. The following are some groups of (and/or for) young people who are leading and inspiring positive change and fighting for a livable future. 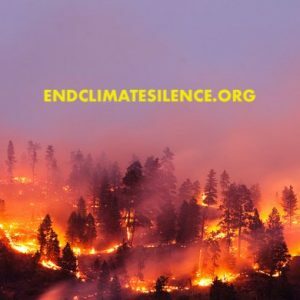 These organizations represent various age groups (from children to teens to young adults / “millennials”), and they are building powerful social movements for climate action, intergenerational and environmental justice, and youth awareness and empowerment. Most of the following groups are based in the United States. What are some other youth-led or youth-focused groups that you think people should know about? Please mention them in the Comments! In this final stretch before the critically important upcoming election (Tues., November 6), many people are looking for ways to step up to help make sure that more people will vote, are able to vote, and know their voting rights and their local voting rules, and to try to ensure that everyone’s votes will be properly counted. If you haven’t already signed up with a group or a campaign to help Get Out the Vote (GOTV) or to help with election protection efforts (e.g., serving as a poll worker or poll monitor or hotline volunteer), below are links that will make it easy for you to get plugged in. Pick one (or two) groups or activities and sign up as soon as possible so that you can get whatever training and materials you need. And if you’re willing to go to a swing state or swing district near you, get on board right away so you have enough time to make your plans. You don’t have to be an extrovert; there are all sorts of GOTV activities to choose from. Further down this post, we’ve also listed where you can go to find voting guides or other information about who and what will be on your ballot, so that you can do your research and be as well-informed as possible about what you’ll be voting on before you go vote. Be a Guardian of Democracy, Be a Poll Worker! Parties and campaigns also assign partisan poll monitors to the polls. Indivisible groups, Swing Left, Flippable, Sister District, MobilizeAmerica, Stand Up America, etc. Note: Some states allow same-day voter registration on Election Day. They include: California, Colorado, Connecticut, DC, Hawaii, Idaho, Illinois, Iowa, Maine, Minnesota, Montana, New Hampshire, Utah, Vermont, Wisconsin, and Wyoming. (And North Dakota doesn’t require registration.) A few states (including CA and MT) also allow in-person, late registration in the days/weeks leading up to Election Day. Contact your county’s elections office for details on voter registration deadlines and Early Voting options. For a list of additional GOTV and voting advocacy groups (and more tips), see our earlier post. Voting Guides, Voter Education: What and Who Is On Your Ballot? To be really well informed, also be sure to read the information provided in your state’s and county’s official voting/ballot guides (they should be mailed to you, or be available on your state and county elections websites). I’d also recommend reading multiple editorials and endorsements from trusted newspapers in your state and from trusted organizations (e.g., your local Sierra Club chapter, your state’s League of Conservation Voters, your state’s or city’s League of Women Voters, NRDC Action Fund, Let America Vote, Emily’s List, Planned Parenthood, and VoteVets.org). Be wary of claims made in TV and radio ads and mailers. Many ads (though not all) are funded by special interests, rather than groups that represent the public interest (the common good). Also, mailers could fraudulently claim to be from your local party or other entity, or could contain other false information (about voting dates, poll locations or hours, your registration status, voter ID requirements, etc.). Beware, and do not allow yourself to be intimidated or suppressed from going to to vote. If in doubt about your local voting rules or poll location, check with your county’s elections board/office or your Secretary of State’s elections office. At the very least: Make sure you bring the correct ID or proof of residency/address (if your state requires that; see VoteRiders or contact your state’s elections office to find out exactly what’s required). Vote early if your area offers Early Voting options (then you’ll have more time to help others get out to vote on Election Day). And if you are in one of the states or counties that uses electronic touchscreen voting machines, ask if you can use a paper ballot instead. And you should make sure you get your ballot receipt after voting, and keep it until the election has been certified and you’ve verified with your county or state that your vote was counted. 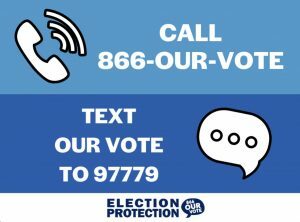 If you experience or witness any voting problems or irregularities, report them immediately to the Election Protection hotline: 1-866-OUR-VOTE (866-687-8683) [or 1-888-VE-Y-VOTA for Spanish) or text “Our Vote” to 97779. (Put those numbers in your phone.) Also report problems to your County elections office and your Secretary of State; and you could also report them to your state’s party, the DNC, local campaign headquarters, and/or to local media or on social media. If a poll worker tells you that your voter registration isn’t active or is incorrect in some way, please contact the 866-OUR-VOTE hotline before you accept a provisional ballot or before you give up and leave. Please read and share/post this tips sheet. Thank you!! 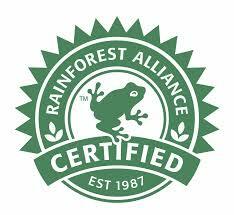 More than 2,500 businesses around the world (from more than 60 countries and 130 different industries) have now become certified as B Corporations, as of July 2018. “B Corps are for-profit companies certified by the nonprofit B Lab to meet rigorous standards of social and environmental performance, accountability, and transparency.” The B Impact Assessment gives companies a score based on how they perform on metrics for impact on their communities, the environment, workers, customers, and internal governance. A few of the largest or most well-known B Corporations are: Patagonia, Ben & Jerry’s, Seventh Generation, Method, Ecover, Earthbound Farm, Eileen Fisher, Danone, Athleta, and Natura. And a few other B Corps that I like to highlight include: Alter Eco, Dr. Bronner’s, Beneficial State Bank, New Resource Bank, and RSF Capital Management. The annual Best for the World ratings highlight businesses that have scored in the top 10 percent of all Certified B Corporations on the assessment. Companies that have scored in the top percentiles across a majority of the assessment’s categories, based on company size, are honored as Best for the World Overall; and companies that have scored in the top percentiles in a given category, again based on company size, are honored as: Best for the Environment, Best for Community, Best for Workers, Best for Customers, and/or Best for Governance. Click here for more information on the 2018 Best for the World honorees (including a link to interactive data sets). Any company can take the B Impact Assessment, a free and confidential tool that allows you to “measure what matters” and compare your company’s practices with others. Please check out some of the sites and organizations listed below. Follow, share, and support a few of them (and share this post with others). Check/verify your voter registration status before each election (and re-register if it needs to be corrected or updated), and encourage others to do so, too. And find a way to get involved (e.g., by registering new voters, volunteering for a campaign or a voting advocacy organization, or working at or monitoring the polls on election day; see the second half of the post, after the links listing, for more detailed suggestions). But even if you do nothing else, please VOTE. Vote in your state’s primary, as well as in November’s General Election. There are always important state and local issues on every ballot. Voting in the primary is also a great opportunity to do a “dry run” before the General election in November. It will give you a chance to verify that you are still properly registered, figure out where your polling place is, and make sure you have the required ID (if any), etc. * The asterisked groups make endorsements of specific candidates. It’s important to recognize that voter suppression laws (including many restrictive ID laws and fewer voter protections, enabled by the Supreme Court’s evisceration of the Voting Rights Act), voter intimidation efforts, voter roll purges in some states, voter database hacking (Russia is known to have “scanned” all states’ voter rolls in 2016, and database breaches were detected in many states! ), and other such forces will continue to have a negative impact on our elections, so we need to do everything possible to counteract and outweigh all of these attempts to curtail people’s right to vote. I feel an extra responsibility to vote, since so many people who should be able to vote will not be able to (some only because they’re seniors or students who haven’t been able to go get the required form of ID in time, or formerly incarcerated people who have done their time but are still disenfranchised). 1. Verify that you are still registered to vote (at your correct, current address): Go to 866OurVote.org or Vote411.org or RockTheVote.com and click on your state and follow the links, or contact your county’s elections office (or Secretary of State’s office) directly. Tens of thousands of voters may have been (wrongly) purged from the voter rolls in several states. (States that have done extremely aggressive purges include: Georgia, Texas, Colorado, Indiana, Illinois, Nevada, Nebraska, Kansas, Ohio, North Carolina, Florida, Virginia, Arizona, Alabama, Arkansas, Maine, and New York.) Make sure you aren’t one of the voters whose name has been purged, ideally at least a month before you arrive at the polls on Election Day, before your state’s voter registration deadline has passed. Also send / post these links for your friends, and ask them to check and re-check their registration status before the election (especially if they didn’t vote in the last one). If you’ve moved since you last registered or you are not yet registered to vote, register or re-register right away, before your state’s deadline (only some states currently allow election-day registration or are instituting automatic voter registration). 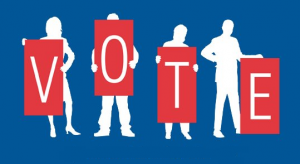 You can pick up a voter registration form at a Post Office (or a library or other government building) located in your county; or go to RockTheVote.com or 866OurVote.org, or better yet, go directly to your county’s elections office to register in person. The upcoming general election is on Tuesday, November 6 (2018). If there’s any chance that you won’t be able to get to your polling place before it closes on election day, fill out the absentee/mail-in ballot request form to receive a mail-in ballot before the specified deadline. When you receive your ballot, be sure to follow the instructions and fill it out carefully; sign it where specified and drop it off at a designated location (best option) or mail it in plenty of time (ideally well before Election Day) and be sure to put enough postage on your mail-in ballot when you send it in; in some cases, more than one regular stamp is required. You can also help people figure out how to get the ID that they (might) need in order to vote in your state (see item #9 below), or drive them to the DMV to apply for their ID. In addition, though it may be too late at this point (to qualify for this election), encourage and help anyone you know who has been wanting/trying to become a citizen to complete the naturalization process; you could even offer to help contribute to their steep citizenship exam fee. 4. Find out whether your state and county’s voting systems are reliable and publicly verifiable (i.e., have a paper trail that can be audited for accountability); most state and counties do use auditable systems with a paper trial, but some still don’t. For example, Georgia’s touchscreen voting systems do not currently employ best practices. Go to VerifiedVoting.org, which works for election integrity/preparedness, to learn more. While voter fraud (e.g., voter impersonation) is extremely rare and is not easy to get away with (so it not a cause for real concern), incidents of vote hacking (and voter registration hacking) could potentially occur in some states, counties, or precincts. See this detailed list of Tips to Protect Your Vote and Voter Registration from Glitches and Hacking. Also see the tips sheet at the bottom of this post for a partial list, which can be easily printed for or distributed to others. 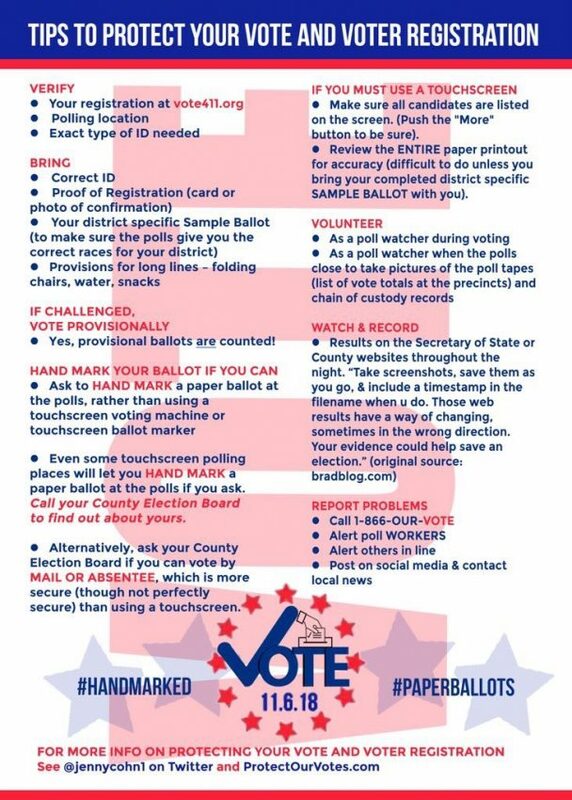 Contact your Secretary of State’s office and your County’s elections office to request that they take all precautions to prevent ballot hacking and tampering, and to provide secure and verifiable voting systems with an auditable paper trail. Specifically, if you are in one of the states or counties that uses electronic voting machines, ask if you can use a paper ballot instead. And every voter should make sure they get their ballot receipt after voting, and keep it until the election has been certified and they’ve verified their vote was counted. 5. Research all of the issues, propositions, and national, state, and local candidates that will be on your ballot, so that you are as informed as possible. Don’t base your decisions on campaigns’ (often deceptive) TV and radio ads or the (often special-interest-funded) propaganda flyers you receive in the mail. Read the information that’s provided in your state and county’s official voter guides (which you should receive in the mail), as well as newspaper editorials and articles written by trustworthy, non-dogmatic analysts or journalists, and information provided by trusted organizations such as your state’s League of Conservation Voters, League of Women Voters, etc. Given the prevalence of lying and mis-information (especially online and on social media), it’s important to check the veracity of any wild claims or personal attacks/smears: search the fact-checks on Politifact, FactCheck.org, and Snopes. To get additional information on what is on your ballot, and where candidates stand on specific issues, check out Vote411.org, as well as Vote.org and VoteSmart.org. In California, Illinois, and New York, Voter’s Edge provides a helpful, non-partisan voting guide to help you make sense of what’s on your ballot. Educate yourself as much as possible. But if you still do not really know about or understand what a particular ballot proposition is about when it comes time to vote, it’s best not to vote on that issue. 6. Donate to or volunteer for candidates and issue campaigns that you support, at local, state, and national levels, and/or to your local (county or state) Democratic Party, the DSCC, DCCC, DLCC, and Democratic Governors Association. Also consider donating to or volunteering for an election integrity or voting-related group, such as Election Protection, ACLU, Common Cause, the League of Women Voters, MoveOn, 350Action, or others (see the links in the first half of this post). 7. Make your voting preferences known to your friends and family, via conversations or posts on social media, without resorting to inflammatory insults (no one will listen to you if you’re suggesting that they’re an idiot or worse). You probably have more influence than you think, especially among your peers and others who respect you. I know it takes some courage; when you stick your neck out on political matters, a few people might want to chop it off and might lash out in a rude or offensive manner. But if you set a civil and positive tone (and only post truthful, substantiated information) and mostly focus on reaching out to people who you know personally, you’ll get fewer reactionary or vitriolic responses. Avoid telling people who they “must” or “have to” vote for (no one likes to be be told what to do). Simply state what you will do and why, and why you think it’s important. Post links to helpful and trustworthy election information, such as links for finding polling location, hours, etc. (e.g., 866OurVote.org, or your Secretary of State or County elections website). Consider sharing this blog post (and our other election posts) with your friends. And on or before voting day, remind your friends to vote. 8. Volunteer to drive people to the polls (including seniors, young people, and others who might n0t have cars), through direct offers or via your local Democratic Party, local campaign offices, or other groups. 9. Make sure you know what the current ID requirements are for voting in your state, and bring the necessary identification document(s) with you. Many states have instituted more restrictive (discriminatory) ID requirements since the last election or since 2010: including AK, AL, AZ, FL, IA, IL, IN, KS, MO, MS, NC, ND, NE, NH, OH, RI, SC, TN, TX, VA, WI, and WV. Go to 866OurVote.org or VoteRiders.org, call 866-OUR-VOTE, or contact your State or County’s elections offices to find out about your state’s current voter ID requirements. SpreadTheVote.org can help people get the ID they need; let others know, if they might not have a current photo ID. 10. And of course, on Election Day (or ideally on an Early Voting day, if those are available where you are, or by mail-in ballot): PLEASE VOTE. Also remind your friends to vote, and bring at least one friend or family member with you. Also, make sure you get and keep your ballot receipt, and keep it for at least a couple weeks after the election, until the election is settled and certified. Once all ballots have been counted, you should be able to confirm that your ballot was counted, by calling your County elections office or, in some places, you can check this online. Again, if you’ve opted to get a mail-in/absentee ballot, be sure to follow the instructions and fill it out very carefully; sign it where specified and drop it off at a designated location (best option) or mail it in plenty of time (ideally well before Election Day) and be sure to put enough postage on your mail-in ballot when you send it in; in some cases, more than one regular stamp is required. Keep your ballot receipt. Vote not just for your own sake, but for the sake of your family, future generations, vulnerable populations, humanity, other species, and the environment, atmosphere, and climate that we all share and depend on for life. Vote as if everyone’s future depends on it; it does. I was born and raised in the Midwest (of the U.S.). Both sides of my family come from the Midwest: from Michigan, Indiana, and Ohio. 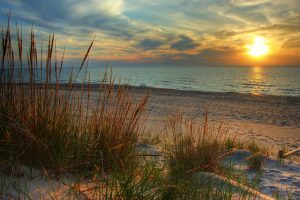 So I like to keep up on what’s going on in the Great Lakes region and other parts of the Midwest, and I promote and support good efforts happening there. Below is a listing of the midwestern environmental organizations (and a few other types of relevant organizations) and websites that we know of, though there are certainly many, many more. (We don’t know all of these groups well, so being listed here does not constitute an endorsement.) If you know people who live in these states, please share this listing with them. 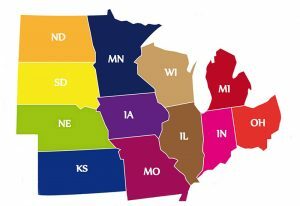 What are some of your favorite environmental (or other) groups based in midwestern states? Please let us know if the Comments! You can also find regional land trusts/conservancies in each state via the Land Trust Alliance’s site. And you can find other State-by-State Resources here (these listings include groups focused on social and political issues, as well). Also note that almost every state should have its own League of Women Voters chapter and Indivisible chapter. Cities, towns, counties, states, regions, and countries all over the world are making large strides towards shifting to renewable energy sources (e.g., solar, wind, geothermal, hydropower, biomass, and wave/tidal energy). In addition, Georgetown, TX is expected to hit its 100% renewable goal this year (2018). And the city of Palo Alto, CA currently provides 100% carbon-neutral electricity and carbon-neutral natural gas, by supplementing their use of renewables with carbon offsets (renewable energy certificates, which help fund renewable projects in other areas). Meanwhile, the other 50+ cities that have committed to achieving 100% renewable energy include several large cities, such as Atlanta, GA, San Diego and San Francisco, CA, and St. Louis, MO. A few of the countries that are leading the way on using renewable energy sources are: Iceland, Costa Rica, Germany, Uruguay, Scotland, Kenya, Portugal, and New Zealand. Let’s all ask the leaders of our cities, towns, counties, and states (mayors, city council members, county supervisors, governors, and state legislators) to commit to a 100% (or at least 90%) renewable energy goal, and enact forward-thinking policies right away to move rapidly towards that goal. 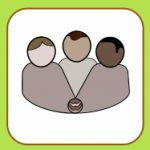 You can share these program links with them, so they will be aware of networks they can join and resources they can use in setting their policies and meeting their renewable energy goals. Energy efficiency is also critical. It is as important as shifting to renewable energy sources, because the less energy we need/use (the lower the demand), the less we have to produce (supply) from any source. (All types of energy production, even non-polluting renewables, require material inputs and have impacts.) The Union of Concerned Scientists ranks states by their energy efficiency progress. In 2017, they found that the most energy efficient states were: Massachusetts, California, Rhode Island, Vermont, Oregon, Connecticut, New York, Washington, and Minnesota. Trees are life enablers and life protectors. They are air cleaners and oxygen makers, making it possible for us to breathe (i.e., live). They mitigate climate change by absorbing carbon dioxide; one tree can sequester up to 50 pounds of CO2 per year, and an acre of forest can absorb twice the CO2 produced by the average car’s annual mileage. Trees also filter some pollutants out of the water and soil, and they can prevent soil erosion and control flooding by absorbing stormwater and buffering storm surges. They provide habitat to many species. They provide shade (natural cooling, which reduces energy use for AC cooling). Some trees provide food (fruit and nuts) for us to eat. Being near trees boosts our mental health and clarity. Their presence increases property values for homes and neighborhoods, and they contribute much-needed beauty to our world. So many benefits. Trees are life; trees enable life; trees save lives. Despite all of the ways that trees contribute to (and are necessary for) our health and wellbeing, a recent study found that during the past 12,000 years of human civilization, humans have wiped out almost half of the trees on earth. Around 15 billion trees are cut down each year (to make wood products, pulp, and paper; to clear land for development, as well as cattle grazing, palm oil plantations, other agricultural uses; and to use as a heating fuel). (Click here for other Forest Facts.) We are destroying our own life support system. We are also losing millions of trees to drought and disease in some areas, and also to the growing number of severe storms (wind/ice) and wildfires, which are worsened by climate change and simultaneously contributing to climate change through additional carbon emissions, in a vicious cycle (AKA a feedback loop). We need to prevent deforestation, and also to reforest and regreen our world. We can start with our own yards, gardens, fields, open spaces, or towns. Plant a tree, or two or three! 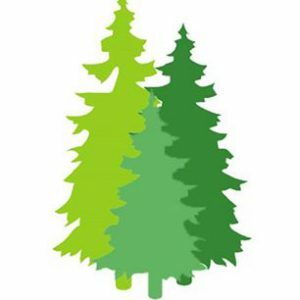 Try to select trees that are native or climate-adapted to your region; fast-growing and fire-resistant trees are great, too (yes, there are trees that are less flammable and even fire-resistant, such as redwoods). You can also choose fruit or nut trees, flowering trees, and other trees that help feed pollinators. 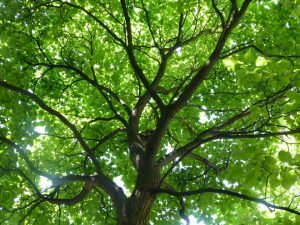 You can also have a tree (or multiple trees in a forest) planted in someone’s name (e.g., “adopt” or “sponsor” a tree in their honor) as a gift for any occasion—through groups like One Tree Planted, Cool Earth, the Green Belt Movement, Arbor Day Foundation, Trees for a Change, etc. 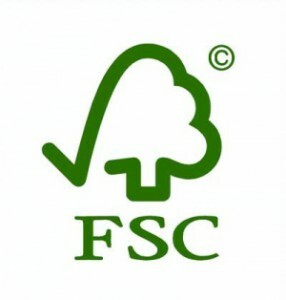 One good way to reduce extreme deforestation (the clear-cutting of forests) is to look for FSC (Forest Stewardship Council) certified wood and paper products (and/or 100% recycled paper products), as well as Rainforest Alliance-certified products (see logos to the right)—and of course reduce, reuse, and recycle all forest/paper products. Also avoid packaged foods and other products that contain palm oil, whenever possible, as palm oil plantations are responsible for much of the deforestation in the world, particularly in Indonesia (where orangutans’ habitat is being decimated). Earlier this year, 1.5 million volunteers planted a record 66 million trees in 12 hours in the state of Madhya Pradesh in India. Reforestation “flash mobs” have been conducted in other areas, as well. Costa Rica has served as a model of strong reforestation efforts in recent years. In some parts of the world, groups are starting to use drones to plant seeds or saplings, to reforest areas much more quickly and efficiently than can be done by hand (there have been articles on this in Fast Company and Wired magazine, among other publications). Note: Climate- and site-appropriate (native or adapted) trees should be selected when planting trees, and multiple species should be planted for biodiversity. Also, forests should not be planted over native, wild grasslands, which also sequester carbon. In the near future, we will be adding more organization listings, including anti-nuclear groups, wildlife protection/conservation and domestic animal protection groups, population-related groups, green groups/projects in Mexico and Central America, and others. * NOTE: Not all of the organizations mentioned in the above posts are 501(c)(3) non-profits. If you want to know whether you would be eligible to get a tax deduction for your donation to an organization, please check with each organization.